Balustrades are an important safety feature of homes across the Sunshine Coast region – they are even a legal requirement for areas of a home with a drop of one metre or more. For many homeowners this can be inconvenient, as mass produced balustrades do not suit the design style of many Sunshine Coast homes and offer substandard quality as well. Here at Dean Wilson Iron, we strive to solve these problems with our handcrafted, customised wrought iron balustrades. We believe that balustrades should not limit the design appeal of your home; rather they should complement your home and add to its aesthetic appeal. We have worked with wrought iron for many years and are familiar with what it takes to craft some of the Sunshine Coast’s most unique, stunning balustrades that effectively and stylishly fulfil their purpose as a safety feature. We create all of our balustrades with the intention of combine uncompromising style and elegance, with unrivalled quality and durability. Wrought iron is the perfect material with which to craft balustrades that combine these features, as it offers strength, malleability and durability. Wrought iron is incredibly strong, which means that it will easily withstand great pressure – making it perfect for use as a balustrade. Its malleability allows it to be crafted into stunningly intricate designs that are sure to be the focal point of any home. Its durability is second to none, which means that is can be effectively used for internal and external balustrades – it will easily stand up to the harsh climate of the Sunshine Coast, whilst maintaining an immaculate finish. The team here at Dean Wilson Iron have had a great deal of experience working with wrought iron and they are well positioned to handcraft a wrought iron balustrade that is perfectly targeted to your specifications. We will work with you to bring your design concept to life; no job is too big or too small. We specialise in wrought iron balustrades for both indoor and outdoor applications and we can easily cater to anyone’s needs – whether they live in a classically styled mansion, a contemporary Queenslander or anything in between. Often, balustrades can be the focal point of your home; internal balustrades can draw the attention of guests and residents alike, whilst external balustrades can often be seen from beyond your property. For this reason, it is important to have a balustrade that reflects your own style and complements the design features of your home. This is where the team at Dean Wilson Iron can help, with our wealth of experience and expertise, we specialise in handcrafting customised wrought iron balustrades that perfectly encapsulate and complement the ambience of your home. We centre our work on our clients and we strive to deliver balustrades that perfectly combine strength, practicality and flawless design. We undertake all work on your terms and we will consult you in detail to ascertain precisely what design and purpose your balustrade must adhere to. Individual and personalised service that takes all of your needs into consideration. Unique and timeless designs that can add an ambience of elegance and grandeur to your home. Unrivalled quality, which includes the strength to ensure your safety and the durability to maintain an immaculate finish for many years to come. Installation that is centred on safety and longevity to fulfil the legal requirements of your balustrade. Here at Dean Wilson Iron, our number one priority is you. We craft every one of our wrought iron balustrades to perfectly meet every one of our client’s needs and we approach every build on its merit to ensure a targeted and customised product. We understand that you want a balustrade that perfectly complements the design of your home and we take all the steps necessary to ensure that our work meets and exceeds your expectations. To provide a solution for every one of your requirements, we begin our process with a thorough assessment of your needs and design concepts. We do this during a brief consultation that is aimed at establishing a unique and personalised design for your balustrades. Providing the most unique and customised solutions to your balustrading needs is our foremost priority and this consultation is the perfect opportunity to determine your exact needs and provide clarification on any points of confusion. 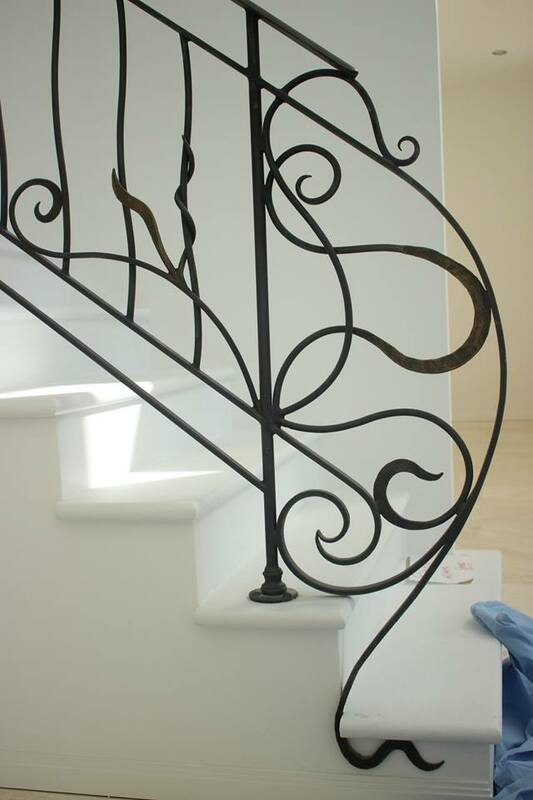 At Dean Wilson Iron, we understand that you need time to consider your options before committing to anything and for this reason we strive to provide you with a prompt initial quote for the work that is required to create your wrought iron balustrade. Using some rough measurements and design information, we can provide you with an instant preliminary quote to provide you with plenty of time to consider your options. The preliminary stages of the build allow us to gather all the details that we need to create your design and we will ensure that you remain at the centre of our work throughout the build. We understand that you have a very specific set of requirements and we will keep you fully updated throughout the manufacturing process. Our team can send you progress photos, or you can come in and inspect the product at various stages of completion; it depends on what is most convenient for you. 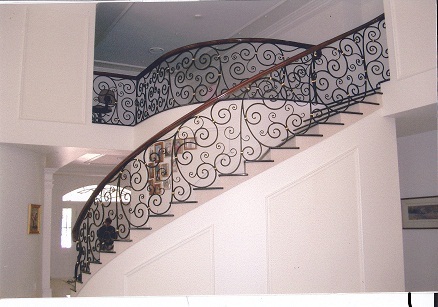 Once your wrought iron balustrade is completed to your satisfaction, we will install it for you. We have had a great deal of experience working with wrought iron balustrades and we are aware that it is an important safety feature of any house, as well as a design component. For this reason, we take care to install your balustrade in a manner that complies with all regulations and ensure the upmost in strength and longevity. If you would like to explore some design options for your wrought iron balustrade, or would simply like to consult us for some advice, then we encourage you to contact us today. We have many photos of our work across Southeast Queensland on our Facebook page and welcome the opportunity to discuss any ideas that you may have or address any of your queries. #1 I like wrought iron balustrades but I do not know where to start or how much it will cost? Our team here at Dean Wilson Iron have developed a service process that will guide you through each stage of development for your balustrade’s design. We have had a lot of experience working with homeowners and interior designers alike and we are well positioned to help you explore all of your options. We will also issue you with a preliminary quote, to give you a good idea of the costs involved. #2 I am concerned that my wrought iron balustrade will rust, how do you stop this? Wrought iron can withstand the harsh climate of the Sunshine Coast for decades if it is finished correctly. Here at Dean Wilson Iron, we demand the best in quality, which means that our wrought iron balustrades are built to repel rust for many years. 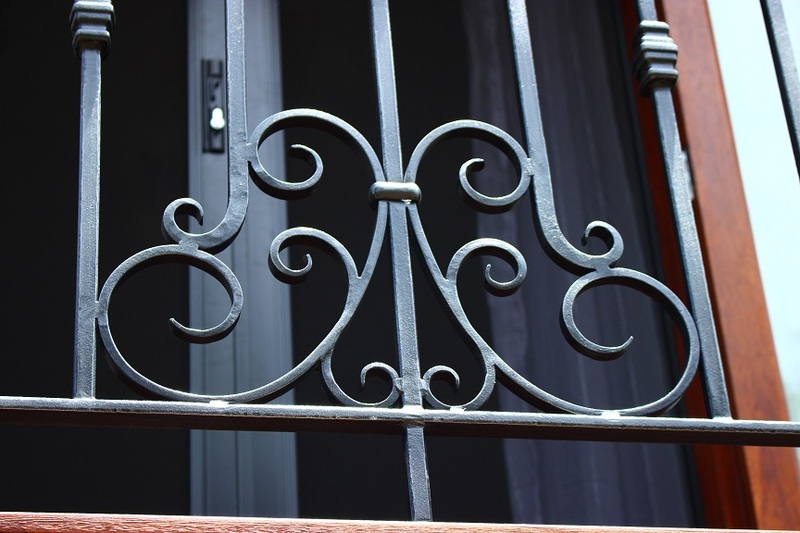 We do this by sandblasting the iron, coating it in a protective zinc layer, then applying a decorative powder coat or hard-rubbed natural iron finish – meaning your wrought iron balustrade will maintain an immaculate finish for many years to come. #3 Do you provide guarantees for all of your wrought iron balustrades? We insist on the best for every one of our clients and we stand by the quality and durability of our wrought iron balustrades. To demonstrate the quality of our workmanship, we offer a ten-year guarantee on all of our wrought iron products. This guarantee extends to the manufacture and installation of the balustrade, as well as rust. #4 How long will it take you to finish my wrought iron balustrade? Our wrought iron craftsmen make every wrought iron balustrade by hand and this means that it is best to allow as much time as possible to ensure the optimum finish at the end. On average, our manufacturing process takes 6-8 weeks and we have found this to be an ideal period of time. Because of this, we suggest contacting us when you are still in the design phases of your home or renovation.